Simon Dixon, of Bank to the Future, talked up the Isle of Man’s potential to become a prime location for bitcoin firms on a panel he shared with Max Keiser, host of the television programmeThe Keiser Report. 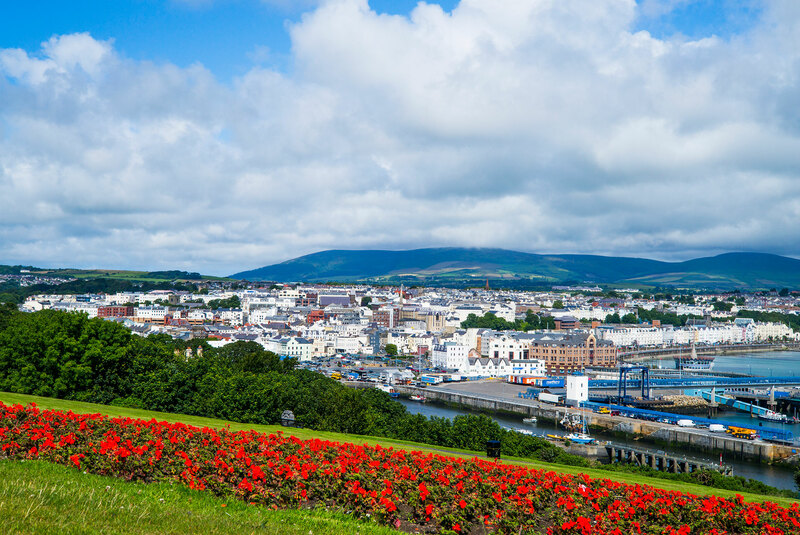 The government of the Isle of Man is looking to plug a gap in its gambling regulatory structure as it relates to bitcoin and digital currencies. The Isle of Man’s Department of Economic Development today announced plans to trial the world’s first government-run blockchain project. Digital currency businesses will have to comply with the Isle of Man’s anti-money-laundering laws from 1st April. The Isle of Man is home to a growing number of businesses that accept Bitcoin. During the past decade, the island became an important outpost to online poker, and some of the world’s biggest companies have relocated to the island, including Rational Group, the owner of websites like PokerStars and Full Tilt Poker. Throughout the years, many outsiders settled on the Island. These people were young programmers and tech-savvy professionals from the U.S., Canada, and Brazil looking for jobs in the online gambling industry. These formed the core of entrepreneurs who would later introduce Bitcoin to the island. The island has a history with embracing emerging technological innovations, such as satellites and cellular service. The protectorate always had a very friendly approach to new technologies, and digital currency businesses saw Manx as the perfect acting ground. Now, the Isle of Man is already considered to be a haven for Bitcoin businesses. The government is seeking to make the island one of the most important hubs for Bitcoin. There are currently about 25 startups working with digital currencies or theblockchain technology, and that number is growing steadily. The Manx government’s approach to bitcoin was parallel to its formerly usual approach with other technologies. In less than a year, the government was able to create a regulatory framework and passed legal changes through the Isle of Man’s parliament. Nick Williamson, an American entrepreneur who decided to settle in the Isle, launched a startup calledPythia. The startup provides off-the-shelf software that allows customers to develop and run their own customized blockchains. To further develop and test his product, he signed a partnership with the Isle of Man government to help establish a new register of the island’s cryptocurrency companies. As a pilot project, that register itself will be stored on a blockchain created using Pythia’s protocol. This will make the Isle of Man the first government in the world to use a blockchain to store official data. In fact, there are some similarities in the way the government tried to design the regulatory regime for online gaming a decade ago, which helped legitimize the entire sector. What’s happening today with bitcoin has a big resemblance to what happened with e-gaming regulations and will help cement confidence over digital currencies. On the other hand, the Isle of Man’s openness towards digital currencies comes at a time when Manx is under a heavy scrutiny from the U.K. for its status as an offshore tax haven, which in turn may come as a negative downside to the currently used regulatory frame. The Island of Man is seeking to diversify further its economy, especially its e-commerce sector, including online gaming, which already accounts for more than 20% of the Isle of Man’s annual gross domestic product. The Isle government hopes that digital currency may come to a new industry that will eventually account for a big part of the protectorate domestic income. What do you think about the regulatory approach used by the Isle of Man government? Let us know in the comment section below! In addition to great networking, we will soon be announcing 5 well known speakers from around the world. All of this comes your way for only $10! Stay up to date on the business of the cryptocurrency world. Enter your email address below to receive daily news about bitcoin and updates on the Inside Bitcoins conference series.